Good morning from Rebecca (and the rest of the TC SLP team)! We woke up this morning to the news that the inclusive community school (St. Anthony’s) which we were scheduled to visit was still closed for Christmas break. 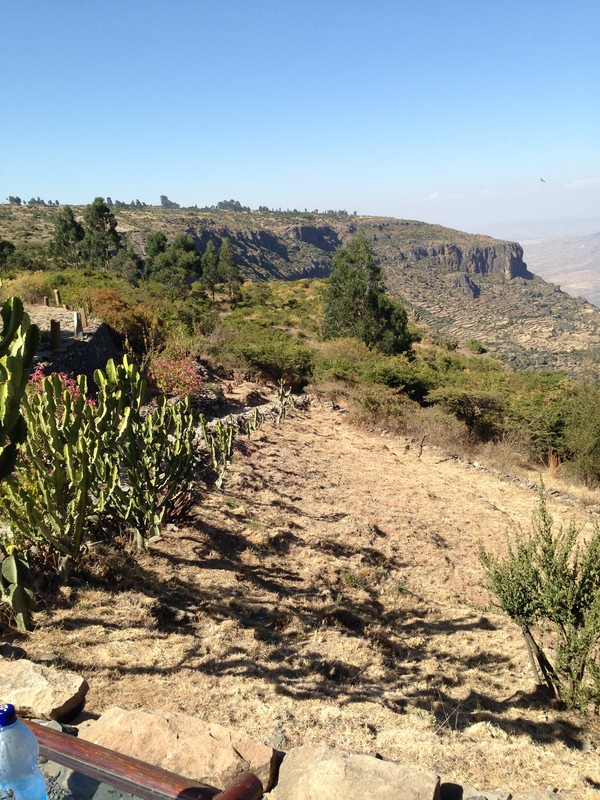 Being the adaptable and resourceful team that we are, we decided instead to go see the Debre Libanos monastery (after one more delicious cup of bunna (coffee!) at the hotel, naturally). 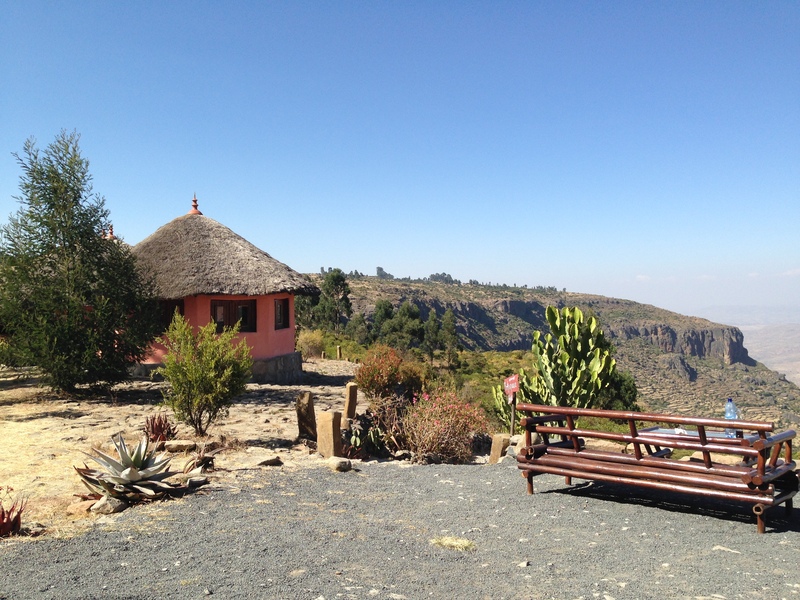 After a two-hour bus trip (made shorter by singing and playing games, or sleeping for the wiser among us) through the scenic countryside, we arrived at the Ethio-German Park Hotel for lunch before making our way over to the monastery. Our stop at the hotel turned out to be the highlight of our excursion! The hotel is located on the edge of a canyon, which provided absolutely breathtaking vistas and some A+ wildlife watching while we ate lunch. We enjoyed watching large birds of prey swoop through the canyon (and watching the feral cats that were watching the birds), but nothing compared to the marvel of a troop of baboons wandering by. 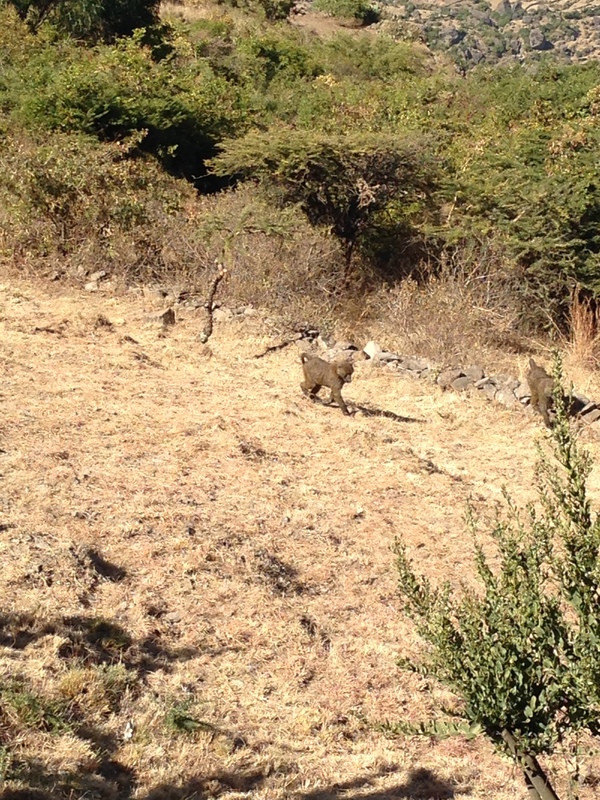 Can you spot the troop of baboons? 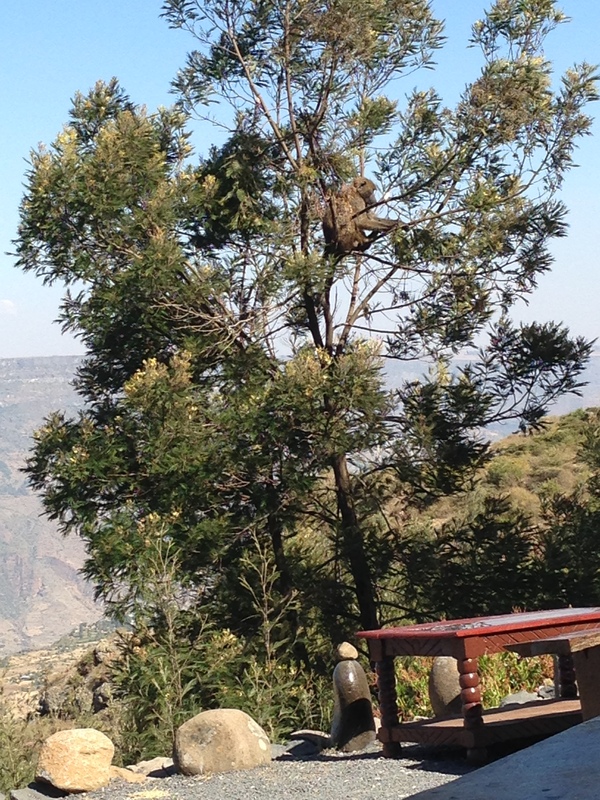 After lunch, most of the group went to go hike down the canyon to see the views (and more baboons) from the Portuguese Bridge, while others stayed on higher ground to continue sight-seeing while enjoying “coffee tea” (sugary Ethiopian tea with a shot of expresso on top). After a fast, uneventful stop at the monastery, we piled back into our buses to watch the sun set as we traveled back to the hotel. After arriving, we immediately set about the important business of ordering dinner and drinks from the hotel bar while making some final preparations for the first day of our cleft palate workshop at Yekatit 12 Hospital Medical College. We start at the hospital bright and early tomorrow morning–stay tuned!